Special BackCare support ensures back support and restful sleep. Product Description Blended Comfort. The Crystal Ridge Luxury Firm Pillowtop collection combines the luxuriously plush feel of sleeping on a cloud with the enhanced support that a firm mattress provides. Featuring DualCool Technology, the mattress includes soft, supple fiber enhanced with silver to prevent the growth of stain- and odor-causing bacteria, mold and mildew. An advanced AirCool Gel Memory Foam center provides an additional layer of support that offers great pressure relief, freedom of movement and an ideal sleeping climate, while hundreds of individually wrapped coils independently adjust to the weight and contour of each person, ensuring undisturbed sleep. Unique Features: DualCool Technology Fiber prevents growth of bacteria, mold and mildew. Individually wrapped coils adjust to the weight and contour of each person. 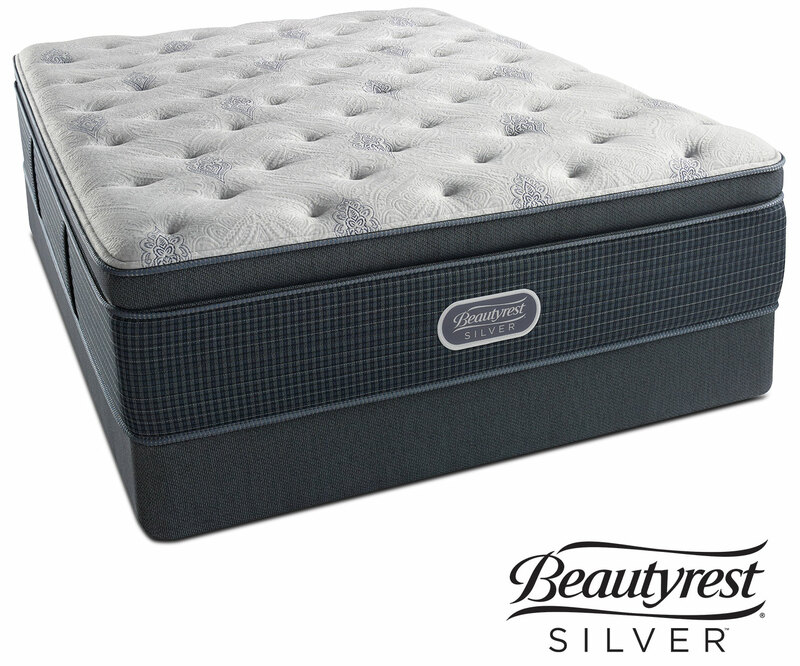 Perfect choice for someone who prefers a plush feel to mattress with the support that a firm mattress provides. AirCool Gel Memory Foam ensures pressure relief and freedom of movement. Care Instructions: Use a quilted protector pad on your mattress at all times to avoid stains. Support your Simmons mattress and foundation only with a frame that provides rigid center support as well as support for the head, foot and sides. Use a new Simmons foundation or a supportive, rigid, non-yielding foundation.